Hello friends! Today feels like spring have bloomed in Boise and I love it! The sky is bright blue and the sun is brilliantly bright, I really want to be outside! I have three cheery and bright cards to share with you. 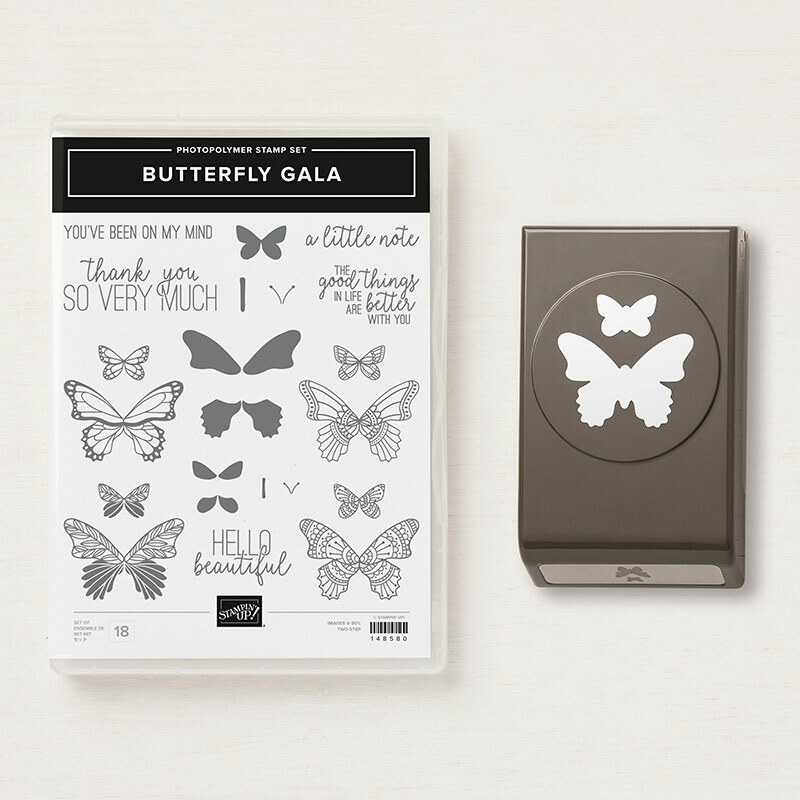 All feature the Butterfly Gala bundle and the Bontanical Buterfly designer series paper. I am LOVING the new Story Label Punch, see it here. 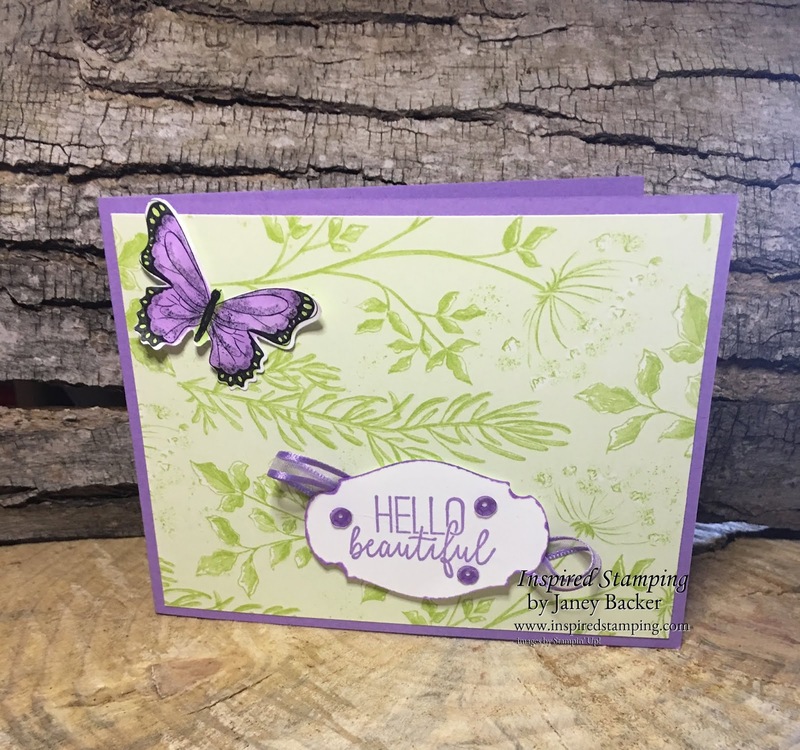 The color pallet for my designs is the same with small embellishment changes. The large butterfly is punched out from a sheet of black and white butterflies in the Botanical Butterfly DSP. 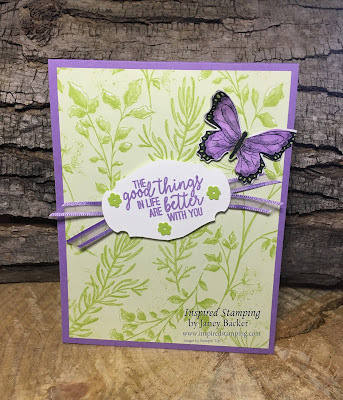 Each card features a different sentiment. 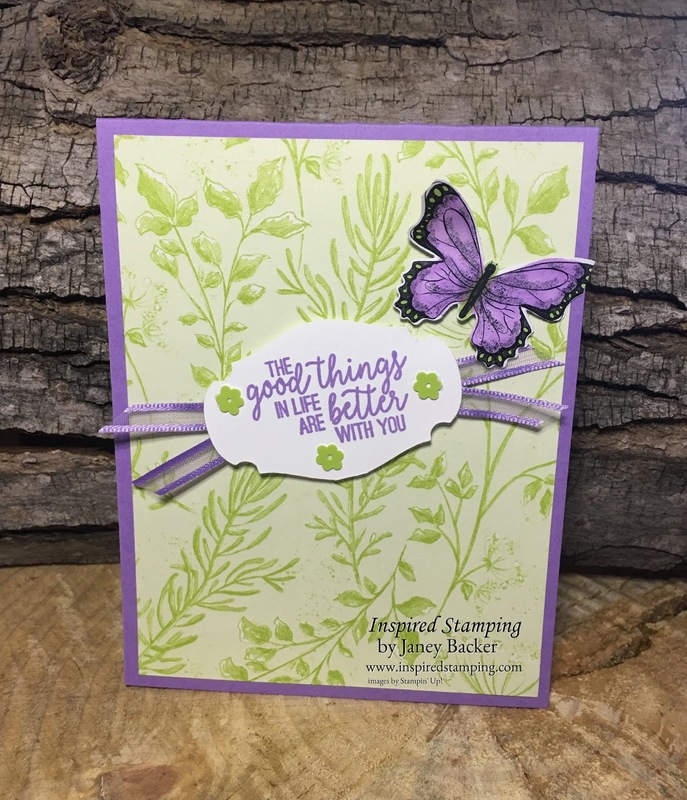 I used the Light Highland Heather Stampin' Blends and Light Granny Apple Green Stampin' Blends to color the butterflies. I'm so excited that you can order the Butterfly Gala bundle during Sale-a-bration. 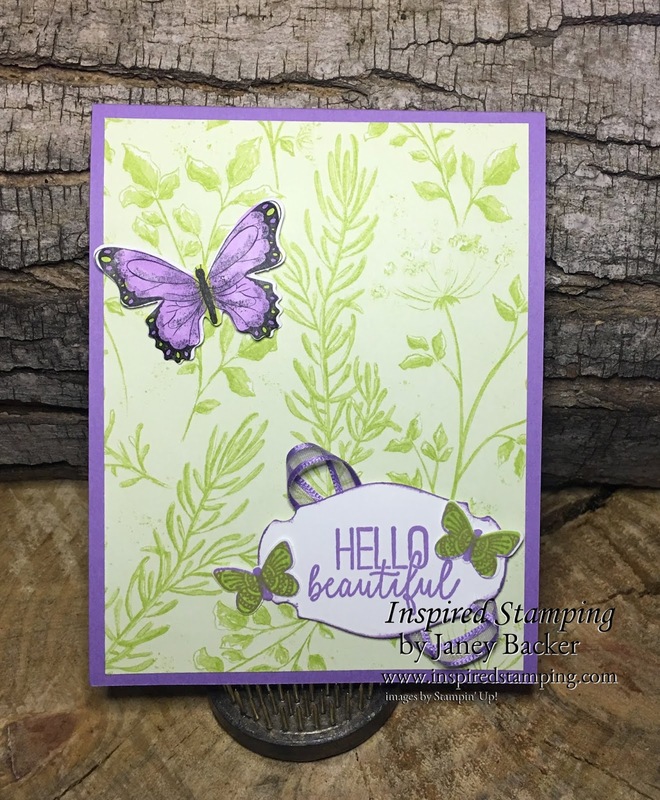 I love this easy stamps and punch set. Aren't the sentiments perfect for so many uses? You can shop for it here. 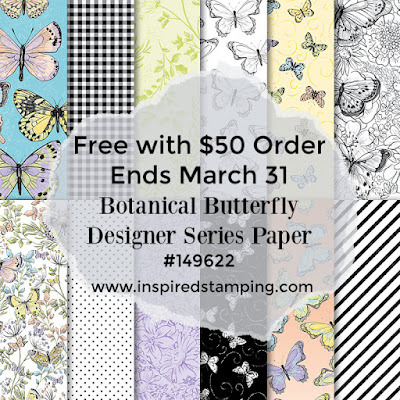 Place a $50 order and you qualify for a Level 1 Gift, like the Botanical Butterfly Designer Series Paper in my designs. 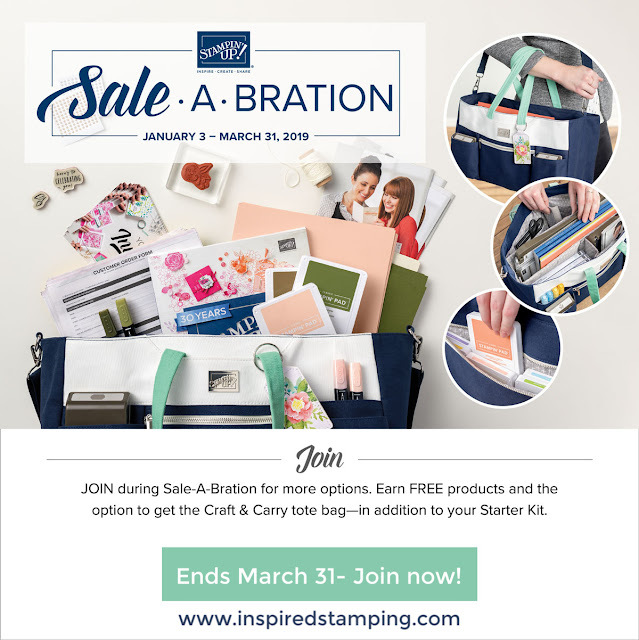 All orders over $35 will receive the March IDEAS tutorial bundle.